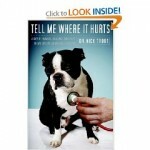 Five Nonfiction Dog Books I Love | Will My Dog Hate Me? After yesterday’s shameless self-promotion post for Am I Boring My Dog, I thought it only fair to talk about some of the books that influenced, inspired, or otherwise gave me great reading pleasure while I was doing my research. Full disclosure: I started putting this list together for Flashlight Worthy Books — a great site that recommends books in a wide range of interesting, often quirky, categories — but never managed to finish it. Today, trying to think of a topic to write about, I came across it and decided that all’s fair in love and blogging. This book was among the first to open my eyes to the philosophy of positive training, making clear the advantage of communicating with dogs rather than shocking, choking, or faux-drowning them through a series of riveting personal examples. Clothier is a dream of a writer, making this book as memorable for its prose as it for its moral compass. Compressing a series of visits to an ER at Boston’s Angell Animal Medical Center into a single day, veterinary surgeon Nick Trout packs his narrative with details about the current state of veterinary science and practice while also conveying, with humor and compassion, the deep love that many owners have for their charges. Not all of the humans Trout describes come off very well, but the dogs always acquit themselves admirably. These fascinating case studies of dogs who exhibit aberrant behaviors would be a guilty pleasure — thank heavens my dog doesn’t do that you think — except that they are written by one of the world’s foremost veterinary behaviorists (think Oliver Sachs for dogs). 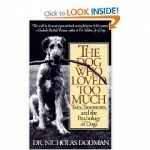 Dr. Dodman’s latest book, The Well Adjusted Dog, gives more practical advice on how to live with dogs, but these early case studies were groundbreaking in promoting the notion that dogs sometimes need medication to supplement more conventional behavioral therapy. Anyone who doubts the unfairness of breed (specifically, pit bull) stereotyping or who doubts that rescuers are themselves are a breed apart should read this book. With a backdrop of the disasters of 9/11 and Katrina, as well as the author’s own heart condition, the stories that Foster tells are get-out-your-hankies heart wrenching while simultaneously unsentimental. Just get on with the job of rescue, Foster seems to say. You’ll be rewarded exponentially. The human Boswell to a canine Samuel Johnson, Kaufman brings this personality plus breed to life with the story of the charismatic Clara (don’t tell him, but before I adopted Frankie, I’d always wanted a pug). The book bogs down when the author veers from Clara into the story of adopting a baby from China, but when the pug is on the page the book sparkles with wit and, well, supreme pugness. 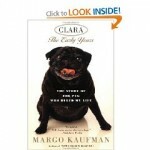 The book begins with the passing of Clara, and I was saddened to learn that the author had died of cancer. We’ve lost a terrific chronicler of doggie ways. Do you agree? Have other favorites to recommend? Please let me know. Update, December 6: I’m afraid all the comments sent in were a casualty of the failed blog migration. But I would love for anyone who already submitted their picks — that means you Pat, Barrie, and Natalie — to re-send. And I welcome all new comments. Which books would you most like to re-read or buy as gifts for dog-loving friends? ← I’m the answer to Cesar Millan? Why, thanks! Thanks, Nadine! You know, I think it’s high time we meet and do a Tucson authors book exchange, don’t you? Just for fun – “The Mutt Book” by by David Alderton. It has a section for each body part with examples of various kinds and the breeds they go with… ears, tails, paws, noses… and you can try to figure out what might be in your mutt. For days when you’re strong – “Old Dogs Are the Best Dogs” by Gene Weingarten with gorgeous photos and profiles of some great old dogs. Natalie, thanks for re-sending your comments. I will definitely check out the Mutt Book to figure out the mystery that is Frankie. I’ve been tempted by Old Dogs… but have never quite felt strong enough! 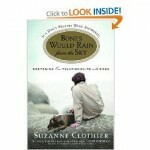 Some how I knew “Bones Would Rain From the Sky” would make it on to your list. She hasa lengthy and sharp chapter on the use of e-collars…. A have a few favorites (and future favorites) to add, as well. 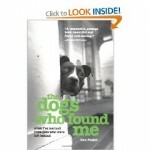 I’m reading “Inside of a Dog: What Dogs See, Smell and Know” by Alexandra Horowitz. What an eye-opener. Just knowing that Harley can hear the lights and electronics buzzing at a frequency above what I can hear has caused me to change a few things around the house. On the same biology-themed track, my next read will be “Made for Each Other: The Biology of the Human-Animal Bond” by Meg Daley Olmert. 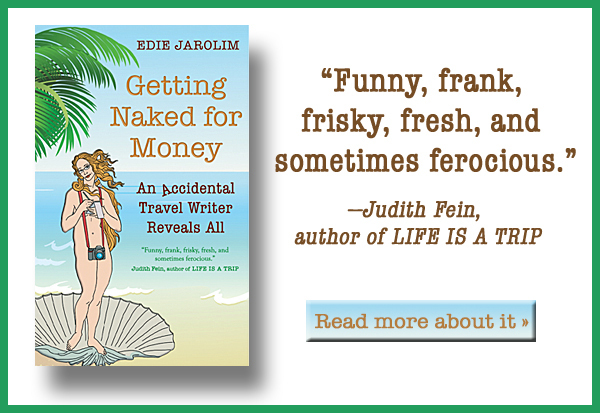 Just read Patricia McConnell’s blog and she raved about the first few chapters. After reading a sample, I can see why. Can’t wait for the holidays to indulge my reading craving! Learning more about canine communication, special senses and basic biology has really opened my eyes to how Harley works with me. Our therapy dog visits are more productive and more enjoyable. It’s also helped me be a better teacher in the therapy dog classes. I love to share this stuff! Who doesn’t want to communicate better with their dog? I’ve been very interested in Alexandra Horowitz’s book, but never heard of Made for Each Other so will definitely check it out. Thanks for that info! Thanks for putting together such a great list of recommended books. I am currently reading “Bones Would Rain From the Sky.” Although I was a firm believer in positive training from the beginning, this book is reinforcing my instinctive feeling that dogs are like the rest of us in so many ways. They just want to be rewarded for the good they do! Thanks for putting together such a nice blog. Thank you for your nice words! I like your blog very much too – very useful. I guess dogs named Frankie are inspirational! And I know I mentioned my all-time favorite, the Encyclopedia of Dog Breeds – the way I spent many afternoons when, dogless, I was deciding what kind(s) of dog(s) are my favorites. This well written book is full of short stories that will give you joy and see the true silly nature of the Doberman breed. Deliciously ‘sylly’ she rolled into our home and turned everything upside down. Along with her companion Mo, these two rescued Dobermans turned our lives into an adventure. From embarrassing moments in obedience competitions to mink coats, cowboy caviar, and a canine dating service, Sylvia was a force of nature for which we were unprepared.